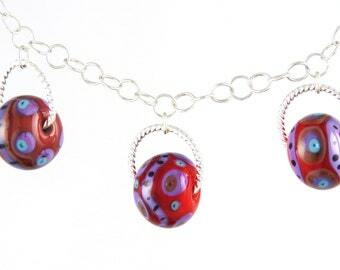 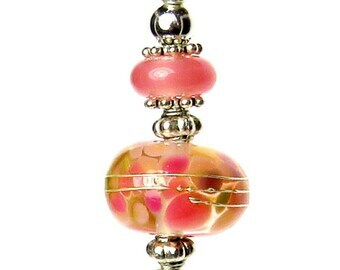 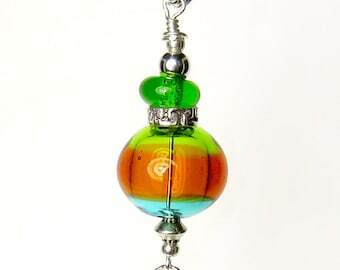 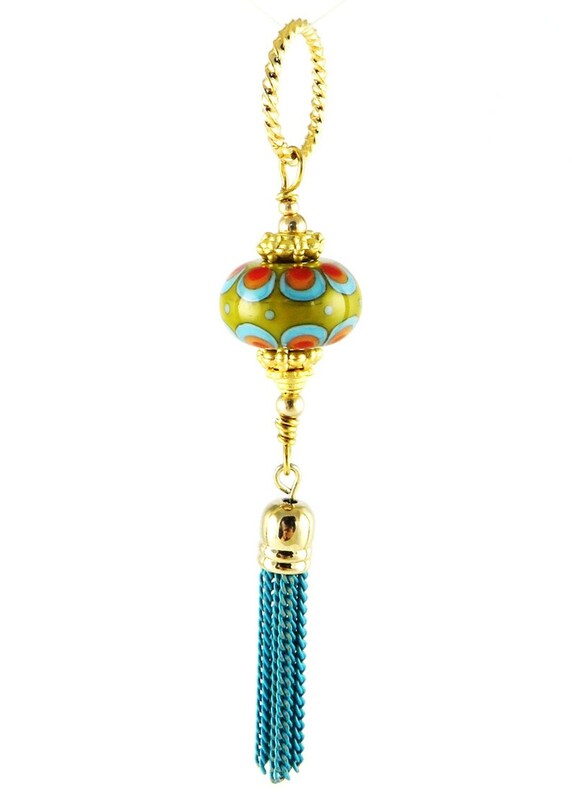 In olive green with touches of blue, red, and orange, this glass lampwork pendant offers bold, colorful style and boho-chic appeal with a dangling blue chain link tassel that swings delicately from the bottom. 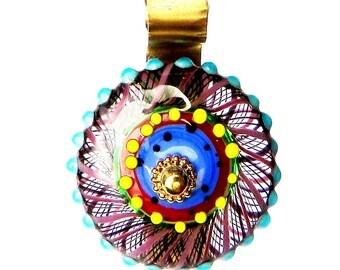 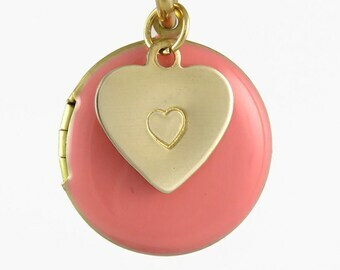 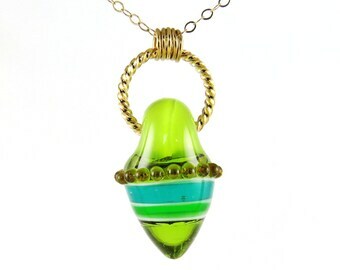 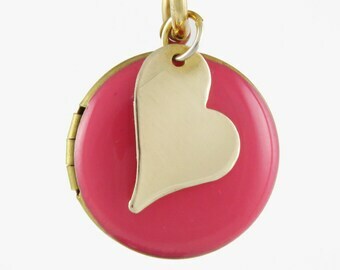 A unique composition of gold-tone beads and glass, this handmade pendant can be added to one of our chain link necklaces, keyrings, or handbag FOBs in to create a one-of-a-kind accessory that only you will have. 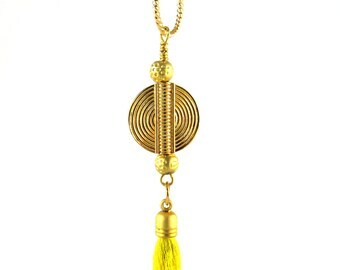 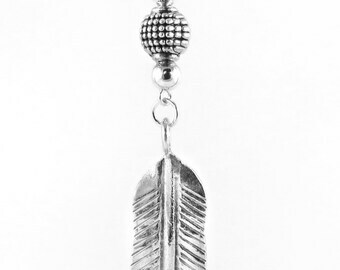 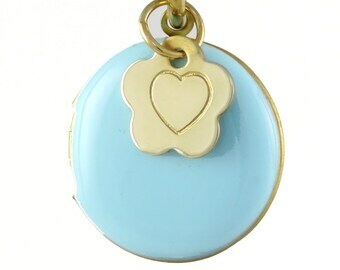 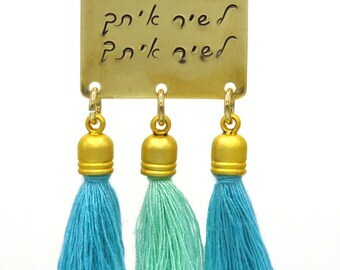 It's a beautiful piece on its own, but it looks even more stunning paired with our other gold-tone dangles.